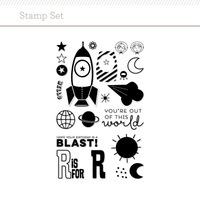 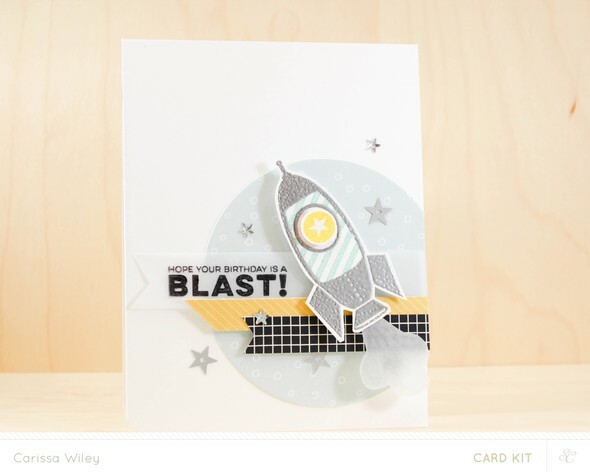 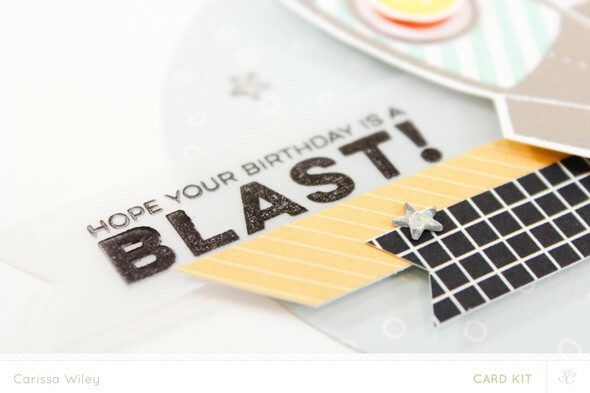 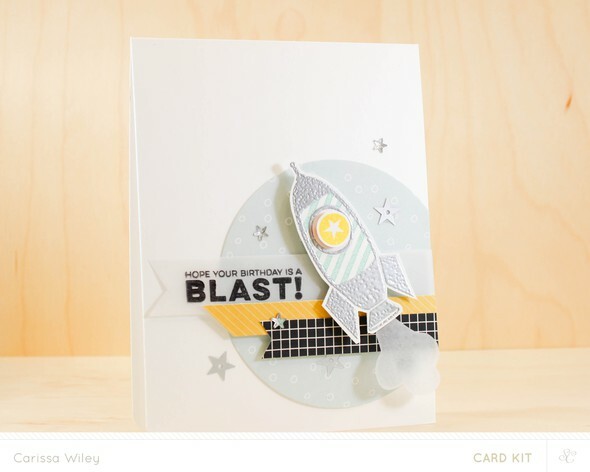 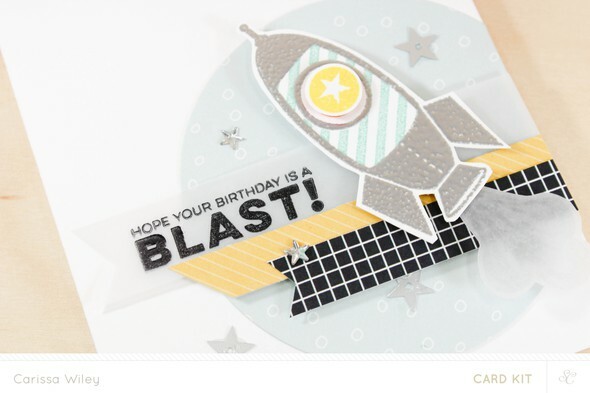 I used a die cut circle and strips of paper to create a planet like background for my adorable rocket. 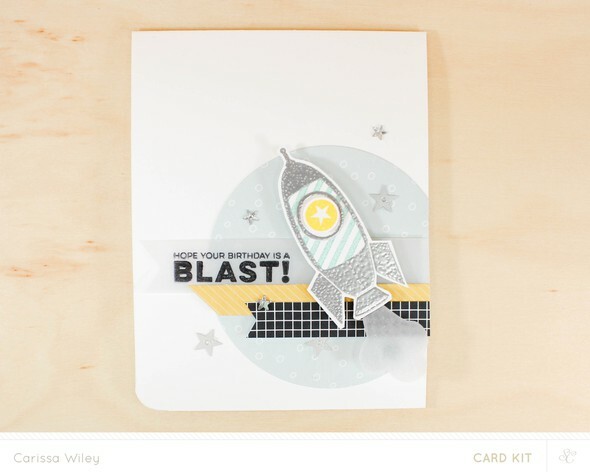 And a vellum plume of smoke is the perfect finishing touch. 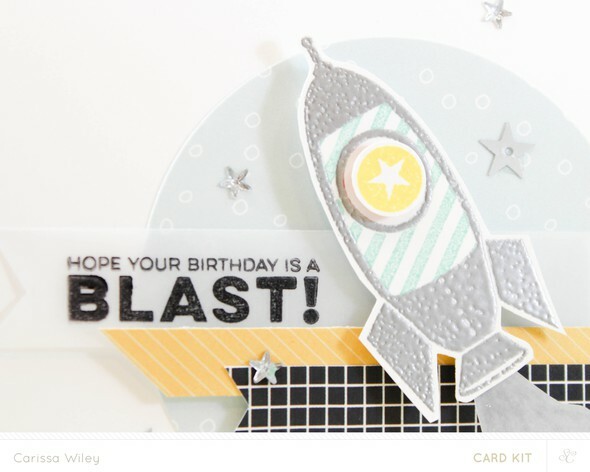 I added some Wink Of Stella to make it sparkle.